Nothing says nautical more than navy and white with a pop of red (I guess this would be more like pops of red). 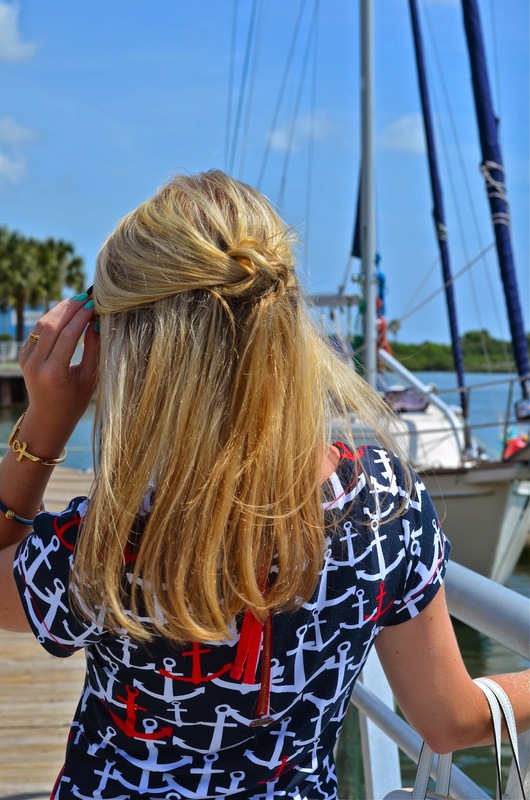 I am absolutely, completely, 100% obsessed with this anchor dress from Rich Girl Rags. It's basically nautical perfection. When I opened the box and saw it, I said "Oh the anchors of possibilities I can have with this dress." The anchors are so detailed, and I love how there are random red anchors scattered throughout the print. Oh and I must add that this dress is super comfy! It will be a great dress to wear to work all day. I loved bringing out the reds in this dress by pairing it with these red espadrilles (with stripes on the back ahh) from Brooks Brothers. They were just marked down and they come in navy with polka dots on the back as well. 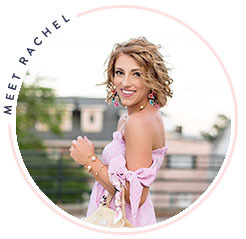 Anyway, be sure to check out Rich Girl Rags for many other fun dress (so many nautical prints), Lauren James, tops, bottoms, and more! 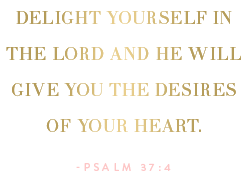 As always, you can follow them on Facebook, Instagram, Twitter and Pinterest for new arrivals and styling tips. Don't you love this dress? 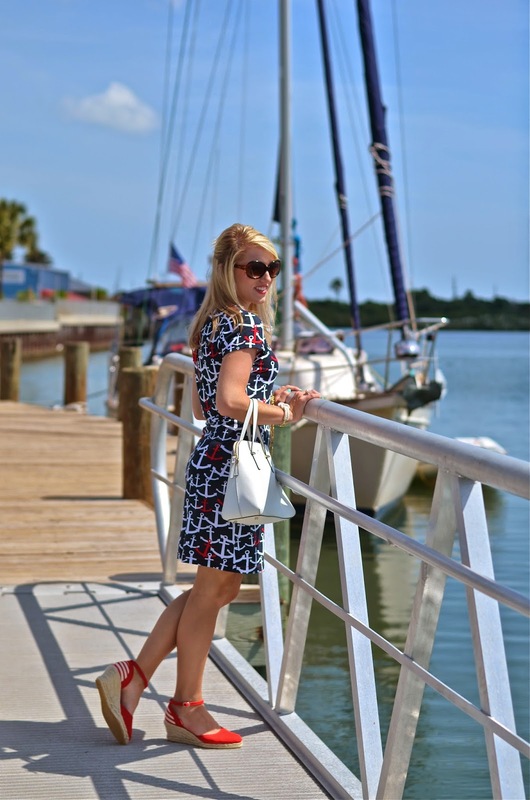 What's your favorite nautical print…anchors, boats, etc.? Love the dress, and your hair looks so pretty! My favorite color combination! I can't live without my red ballet flats. Love the look! Those shoes are adorable!